Buildings and Structural designs have climbed to an innovative height in general, with great minds working towards constructing a greener planet with spectacular buildings. Today we present you the Top 10 Magnificent Structures the world. 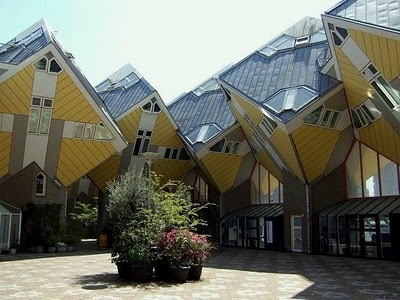 Cube houses, is a group of revolutionary houses built in Rotterdam and Helmond in The Netherlands, planned by architect Piet Blom. Mr. Blom slanted the cube of a straight house at an angle of 45 degrees, and placed it upon a hexagon-shaped pylon.